Changsoo (age 19, male) currently resides alone on the 2nd floor of a small apartment in Wonju, South Korea. One night, he’s out drinking with his college friends. (Next week, Changsoo is off to the military!) Upon returning home at around 3 a.m., Changsoo is shocked to find an unarmed burglar (age 55, male) in his home. What timing! A burglar (at work) caught red-handed! Changsoo immediately engages the burglar. After a short struggle, he is able to pummel and incapacitate the burglar. Changsoo then tries to call the police via his cell but quickly realizes he can’t because he’d already asked for termination. He has no landline either. So, Changsoo decides to go downstairs and ask for help. But before he leaves, Changsoo glances at the burglar one more time. He notices the burglar is starting to make movements again! Feeling threatened, Changsoo this time uses a (clothes) drying rack to clobber the (defenseless) burglar. Repeatedly. He uses his belt as well. When the burglar shows no sign of movement, Changsoo rushes downstairs. The police arrive, and everything is taken care of. Except, it turns out that the burglar is now brain-dead as a result of what Changsoo did to him. For this, Changsoo is indicted, and trial begins. Q: Will Changsoo successfully be able to invoke self-defense in a Korean court of law? The above example is very similar to an actual case reported here in South Korea. On January 29, 2016, the Seoul High Court found Changsoo guilty and sentenced him to 1 1/2 years in prison (3 years probation) + ordered 240 hrs of community service. “Probation” means he won’t actually serve time in jail. FYI, this was an appellate court decision. The lower court had sentenced him to 1 1/2 years (no probation). The actual events took place way back in March 2014, almost 2 years ago. One thing to note about this case is that the burglar/victim (sadly) passed away during trial. Another is: the defense has decided to appeal the appellate court decision, so the case is now in the Supreme Court. The court took issue with Changsoo’s 2nd “onslaught.” The court saw this as unnecessary and more offensive than defensive in nature. The court did, however, take into account that the victim was a burglar, and that’s primarily why the defendant was able to receive probation. “But should he be found guilty at all?” is what some people here are asking. Early in the trial, the (clothes) drying rack surfaced as an important issue. 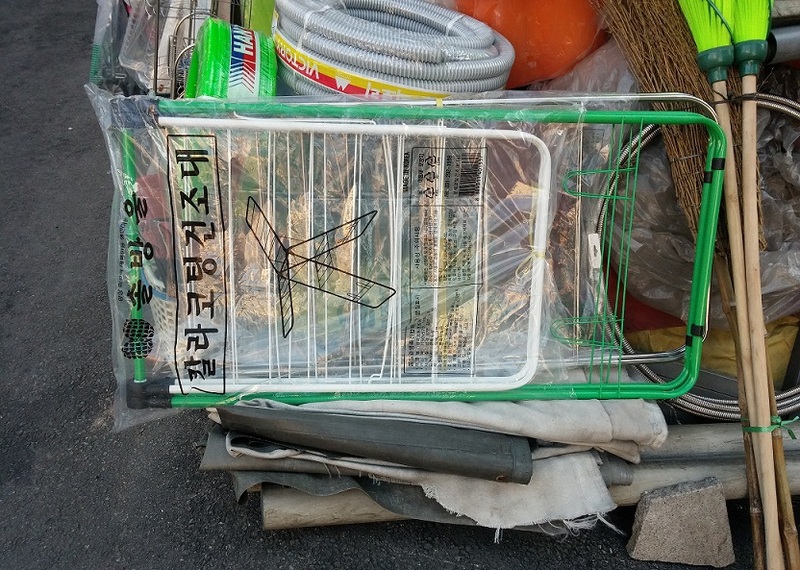 Whether or not it could be considered a “deadly weapon or other dangerous article” (흉기 기타 위험한 물건). Because if it could, a different, more stringent/technical law would apply. That question, however, was rendered academic (literally) when the victim passed away. To read about my 1st self-defense law update, click here. CASE UPDATE: On May 12, 2016, the Supreme Court of Korea affirmed the Seoul High Court decision.